Hello!! 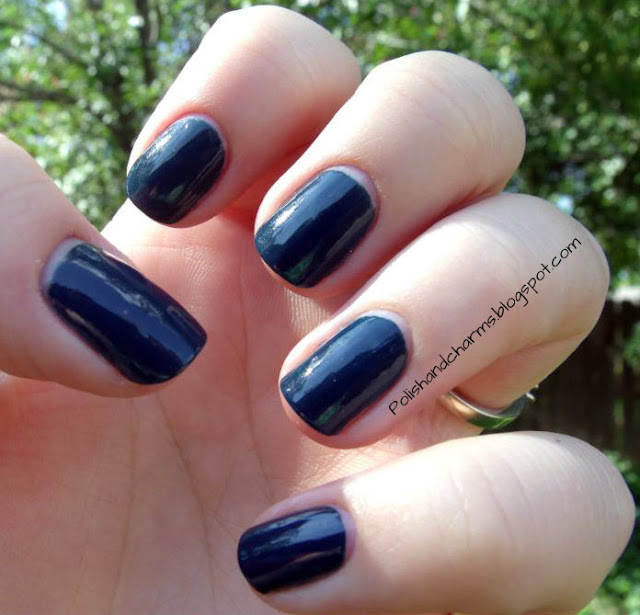 I have a gorgeous color for the fall to show you today! I am really loving the darker colors, especially the dark reds and dark greens/blue. This is L'Oreal Rainy Picadilly. It's like a really dark blue green, but leans more blue. I love it! What you see is 2 easy coats! Enjoy! such a pretty colour - reminds me of an OPI, but I can't remember the name ! It's so beautiful, and I love that Rainy is photographed against the blue sky ;) - but a very nice fall color! perfect color for this season! oh my gosh, i love this shade so much! 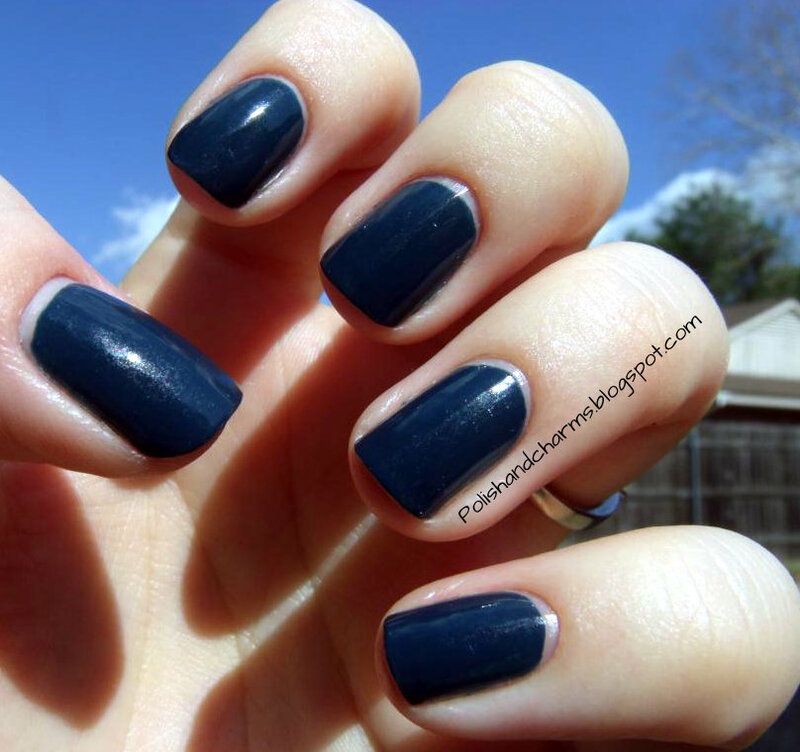 Oh my this color is gorgeous!! This is gorgeous! I love teal shades like this! Well, if it makes a difference it was raining when I put this on! What a striking dark teal! oh my goodness how GORGEOUS! I had to have it when I saw it! Isn't it?!? I love it! This is a really gorgeous color! I just love blue polishes! Very nice! I didn't realize this had a shimmer to it. Thanks! I don't think it has shimmer...maybe the sunlight?? If it does that's awesome! Me too, they are some of my favorites!